Today, a little bit of Ancient Greek. 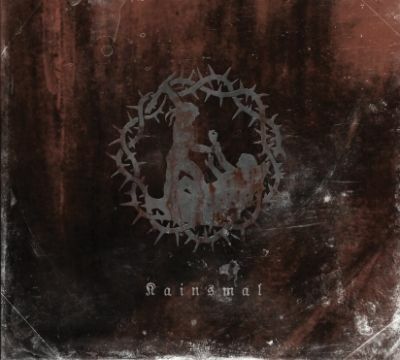 On "Kainsmal", there is a song called Lykoi. This means wolves in English (and, by the way, "Ulver" in Norwegian). The song starts with the words Outo pos exei kardian lykou periplanate monaxos - He who has the heart of a wolf inside of him, wanders alone. Maybe you already know that the band started under the name Geïst (German for ghost) but that they had to change their name due to an alternative rock band with the same name. So they quitted the first and last letter and got Eïs. This is a German word as well and means Ice (the German counterpart is pronounced like the English word). But for having two dots (and I don't thing that they are röck döts) there is a second way of pronouncing this word - like a combination of the sounds of the "e" from "end" and "ese" from "these". Now you have a Latin word which means to them, for them. I don't know if the band knows this or if it was the band's intention, but nevertheless: If you want to see it, you get another starting-point for your interpretations.